Ever wonder how to fly fish? Fly fishing is considered a sport or a hobby by some, and an art form by others. Call it what you want, fly fishing for trout is a pleasurable pastime built on the camaraderie of the anglers themselves, the oceans, lakes, and rivers they fish, and the beautiful fish they pursue. Some anglers are weekend warriors, happy to run into a fish or two on a holiday fishing trip with dad or kids. Others are die-hard trout bums, who dedicate most of their days to tying flies and dissecting the hatches and underwater traits of their favorite fisheries. For those who consider themselves avid fly fishers, the sport is a refreshing escape from the daily rigors of everyday life. A meditative and even spiritual passion that non-anglers have a hard time understanding. But for those who get us, there’s nothing better than the push and pull of a fly line, and the sight of a fish rising to take that perfectly placed fly. Most fly fishermen focus on the pursuit of trout, although anglers fly fish for everything from largemouth bass to big-game saltwater species like marlin, tarpon, and even sharks. There are thousands of species of saltwater and freshwater fish and the International Game Fish Association monitors world records for a majority of the game species. American fly fishermen spend most of their time pursuing trout, particularly rainbow trout. Other types of trout include the golden trout, steelhead trout, brown trout, brook trout and lake trout. There is no wrong time or place to use a fly rod, as long as anglers are abiding by current national and state rules and regulations. You can fish everywhere from the open ocean to backcountry creeks or lakes. In fact, many fly fishermen practice their craft at home, honing their casting skills on the front lawn or at the local park. Fly fishing has caught on all over the world, whether it’s fly fishing on a road trip through a U.S. National Park like Yosemite, going after peacock bass in the Amazon River or hunting for carp in Europe. Yes, angling for carp is huge in Europe, which shows just how diverse the sport of fly fishing can be. Fly fishing is extremely popular in the Western U.S., thanks in part to the warm weather, river conservation and accessibility and a strong outdoors heritage. The media also has played a role in popularizing the sport, with books, magazines and even movies glorifying the sport. The movie “A River Runs Through It,” based on a semi-autobiographical novella by Norman Maclean, really popularized the sport along with the blue-ribbon trout fisheries in Missoula, Mont., and the rest of the Big Sky Country. 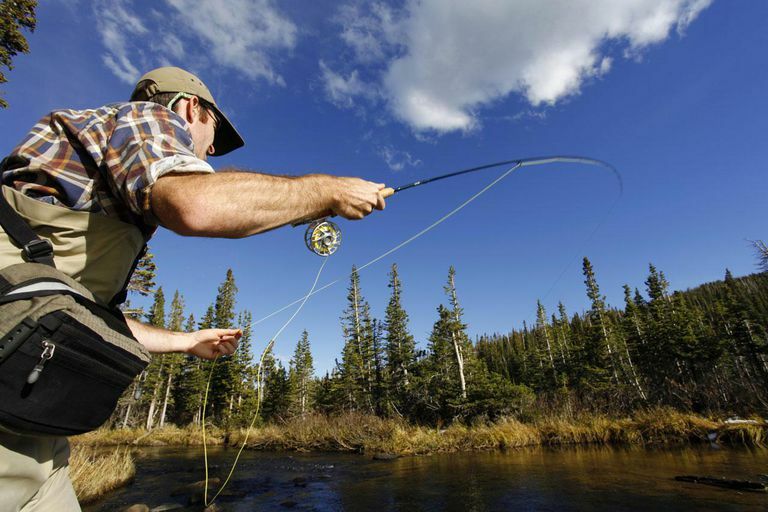 Fly fishing gear is always evolving, although the fly rod, reel, and line have always been a staple in fly fishing. Fly anglers also are notorious for the dozens of different knots they use, many of which correlate with the type of fly line, leader and tippet they rely on. Fly fishing also can be an expensive hobby, with typical fly rods and reels typically costing more than $100 apiece. Anglers, however, can find a bargain if they know where to look. Fly fishing methods can change from season to season, fishery to fisher, and even hour to hour depending on the hatch and when different insects are present on and in the water. In general, river trout, the most popular game fish of fly fishers, feed in four zones but can be found on or near the bottom about 75 percent of the time. That makes nymph fishing – below the surface with bottom-dwelling insects and sculpin patterns like the Muddler Minnow – a popular approach. But when temperatures rise, some insects make their way to the surface – a good time for dry patterns. Fly fishing techniques vary, and every angler has their own style or method of fishing, so the best advice for novice fly fishermen is to be patient when trying to hone their skills. Practice makes perfect, especially when working on your casting. Working on tying flies and prepping your rod, reel, and lines during your downtime and in the offseason will also help make your next fishing trip a successful one. 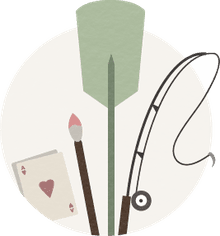 Why Are Sage Fly Fishing Rods So Great?